Sow it directly to the regular part of the garden, only when the soil temperature rises above 8 °C (46 °F), otherwise it germinates very slowly. At least 30 cm (12 in) between rows, densely in a row. Approx. 30 plants per person. April-June, when soil temperatures are above 8 °C (46 °F), some varieties till September. You can sow in unheated greenhouses in September or October. It germinates in 10 to 20 days. With home compost. Add when they leave are growing. Carrots need a lot of potassium, less phosphorus and even less nitrogen. 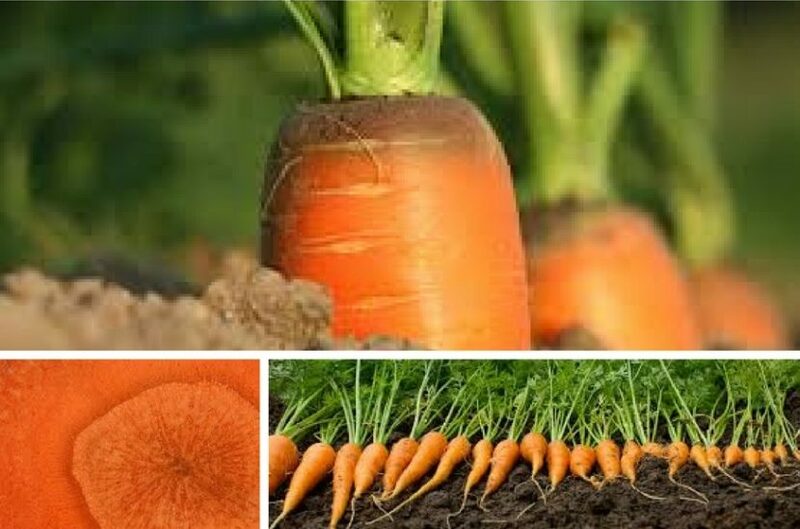 Don’t fertilize with barn manure, but you can plant carrots after the plant that you used barn manure for. It needs water regularly, so its roots don’t burst. Water once a week to 40 cm (15 in) deep. You can water on the leaves as well, but in the morning. Onion, garlic, leek, Swiss chard, black radish, chives, radicchio, radish, tomato, lettuce, marjoram, dill, mint, calendula. Wireworms, lice, carrot fly, carrot blight. Keep the soil soft, set proper distance between rows and don’t fertilize with barn manure. Pull out with the help of spading fork, before the leaves start drying. Store in sand in a moist and cool basement. Use the root, fresh or cooked. It is an important source of the beta carotene antioxidant and other vitamins. Use fresh seeds. Enable proper soil temperature for sowing by covering the ground a few days before with transparent polyethylene cover and with garden fabric after it. Water early sowings with valerian tea. Keep the soil soft. Scatter the seeds on the soil and just push lightly into it with the back side of a rake, as they need some sunshine for germination. You can use organic mulch for mature plants to avoid green root tops.